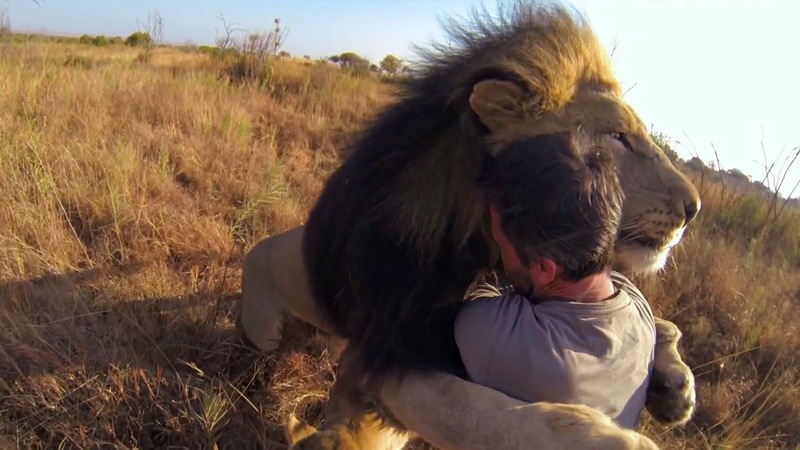 Spotlight Worldwide: Man Tries to Hug a Wild Lion, You Won’t Believe What Happens Next! Mr Kevin Richardson, a South African Zoologist who over the years has conducted extensive research on the native animals of the African plains. If this was anyone other than Kevin trying to hug a lion, we may have had an all too predictable story to tell. But with his decades of hands on study and research, Kevin has developed an awe-inspiring and heart-warming relationship with these ferocious felines of the South African Savanna. 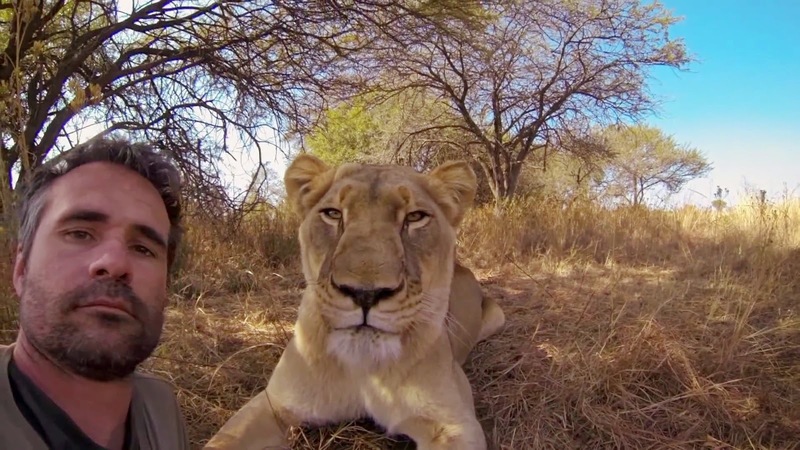 Strapped with a jeep full of GoPro cameras, Kevin takes his crew as close as they can get to these wild creatures, without letting the rest of them get out of the car. Obviously. As you hear him call for these animals and then watch them charge after him, you immediately think to yourself ” Yup! This guy’s about to get eaten!” But to all of our surprise, these gigantic lions wrap their paws around him and give him the most adorable hug you’ll ever see in your life. It’s truly amazing to see these 400 pound animals act like house pets around Kevin as they cuddle a frolic through the bushes. It’s almost too beautiful to be real. Kevin is able to use his unique relationship with these animals to capture people’s attention and draw awareness to the problems facing the wildlife in Africa. While many people still see Africa as a gaming paradise, teeming with animals to hunt, the numbers of wildlife are dwindling, bringing many animals, including these majestic lions closer on the endangered species list. So much so that Kevin predicts that if we continue down the same road, we will not be able to see any more lions within the next 20 years. When looking for reasons why these animals numbers are dropping Richardson has found a common thread. These wondrous creatures are losing their natural habitats very quickly, due to unscrupulous hunting and human “development”. It is Kevin’s hope that with his ability to interact with the animals, surpassing the need for fear to force submission, he can change the view and outlook we have on these beautiful creatures. 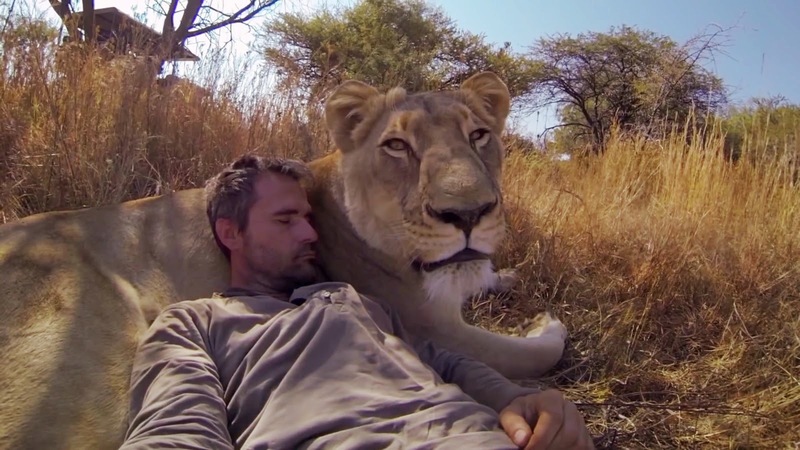 Instead of the predator, “Kill or be Killed” mentality, these over sized cats are more playful than primal. What animal would you love to hug?